While I was still working for the ship, I held a series of talks for the crew, called, "Travel Talks with Eartha". 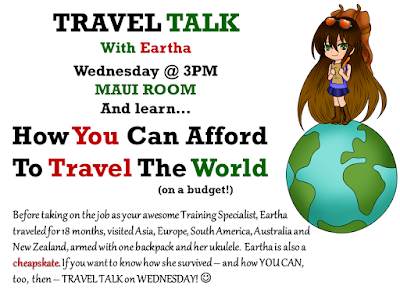 It was a mini event arranged by our Crew Enrichment Director, open to anyone who's ever wanted to learn about how to travel smart, and on a budget, straight from a professional cheapskate like me. I didn't expect the turnout to be as great as they were, that I actually had to do the events a few times to accommodate everyone that wanted to participate and learn. It was also really great to be able to share my story with everyone... Letting them know about alternative ways to travel, and getting out of their comfort zones. I figured, since people were interested in the little tips and tricks I had to share, as well as the things I did on my travels that helped me stretch my dollar, I may as well write a post about it! 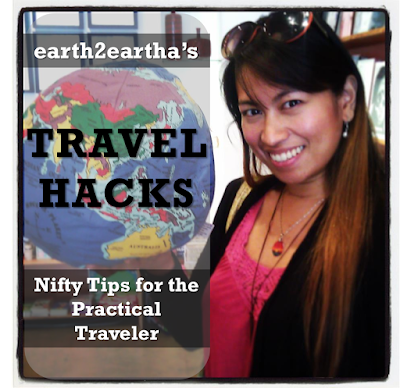 Earth2Eartha's Travel Hacks! Nifty Tips For The Practical Traveler! ...is a revelation. It is my go-to website for looking at the cheapest flights available. 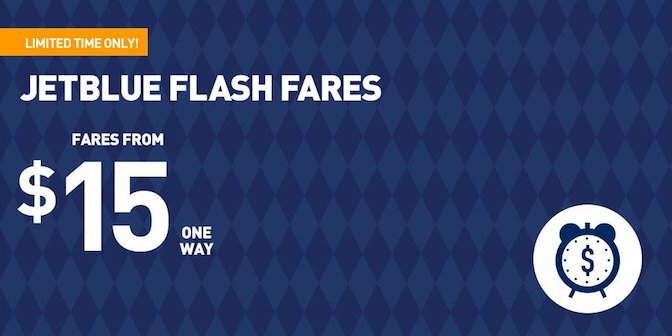 It gives you a snapshot of the cheapest days to fly in a month, therefore giving you the best option, money-wise! I don't know about you - but I almost ALWAYS base my travel plans around the cheapest days. For instance - above is a snapshot of the monthly/daily price comparisons of a one way flight out of LAX going to London (my usual destination). 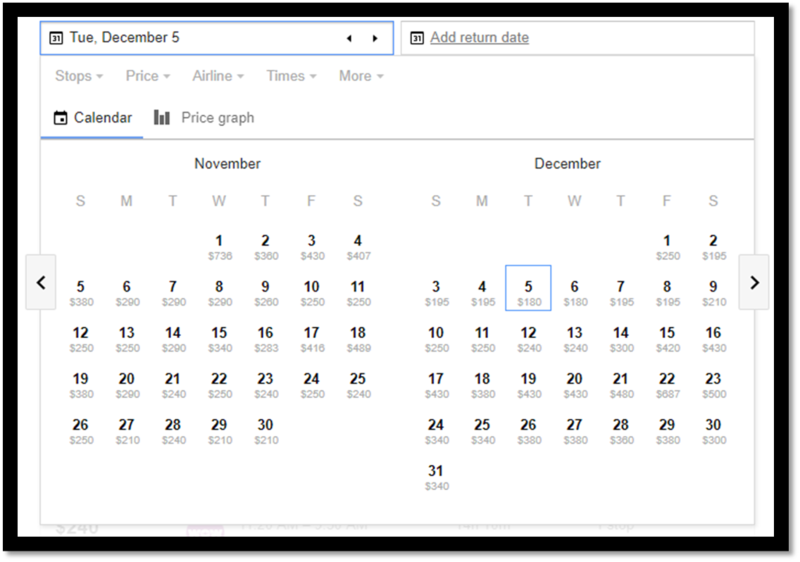 If you look at the month of December - it already highlights the cheapest days to fly out of the month. You may not see it, but December 5 and 6 are the cheapest at $180. 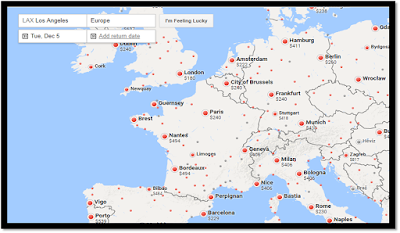 If, for instance, like me, you don't usually have a solid destination yet, but are flexible enough depending on the cost of the ticket to get there, Google also has this "Explore" feature that gives you an idea of price comparison per country/destination, coming from your home airport. It has all of the cheapest flights to all of those countries on the day that you pick, to give you an idea of cost. 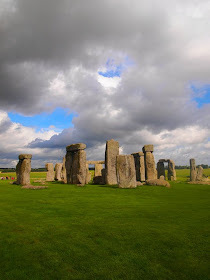 If You Want to Fly To Europe - Fly to London! 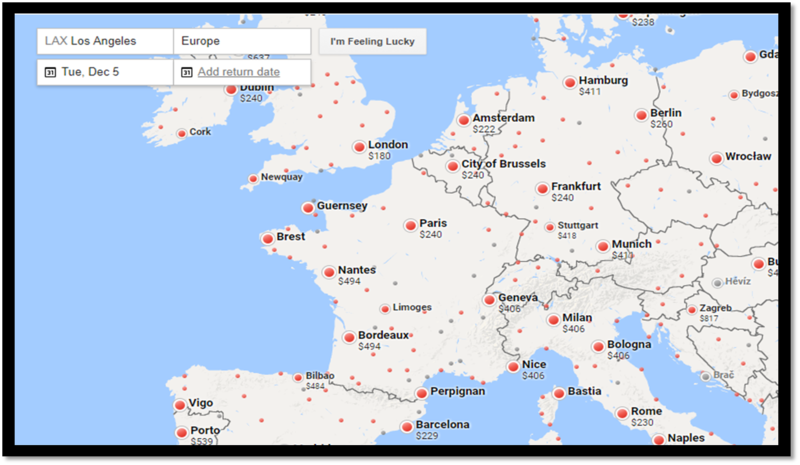 When you get to London, the flights out of there to mostly anywhere in Europe is very cheap! For instance, last year, I knew I wanted to go to Croatia. Instead of flying straight from LAX to Zadar and spend a little over $1000, I flew to London first, then took a flight out of there instead, thereby saving me about $500! Hurrah! Websites like Hopper and Airfare Watchdog notify you when the prices for the flights you are watching out for, drop! You can give them an estimated time - perhaps the week you'd like to travel, and where... And they will send you alerts when the prices go low! 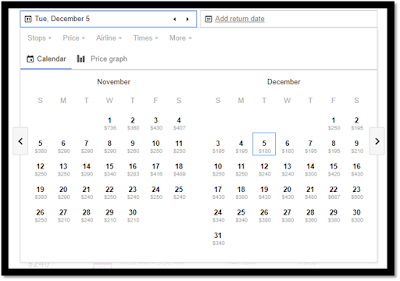 Hopper in particular lets you know whether or not the prices are expected to rise after a certain date, and will give you solid advice by saying - "This is probably the lowest it will be, and so I'd book this now." A lot of airlines send you emails regarding "Flash Sales" or Promo's that Google Flights won't be able to show you (JetBlue, Southwest and United are examples). Signing up for ALL of the frequent flyer programs of any airline that you fly with is a good idea, too! Any trip that you take without accumulating some sort of miles is money wasted. If you are planning to travel to a lot of destinations for a significant amount of time (6 weeks to a few months, maybe?) and you already know the countries/cities/places you'd like to visit - it may be worth it to use websites like AirTreks or BootsnAll. They make round the world or multi destination travel easier and simpler. 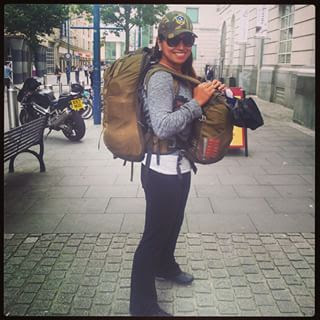 I used AirTreks on the first leg of my Round The World Trip where I traveled to about 7 or 8 cities in the span of 7 weeks. I find that it is best to call them to talk to an agent. 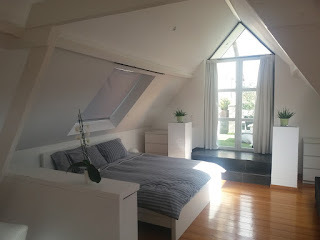 They work with you regarding your dates and your destinations, and they give you all of the cheapest/practical options - considering not only price factors, but flight times and layovers as well. I saved a LOT of money using their service, and they saved me a lot of time and effort figuring all of that stuff out myself. A lot of the travel websites use your search history against you, and when booking flights - sometimes raise the prices based on your flight searches. "Cookie Tracking" is for realz. This has happened to me several times, (my laptop showed a significantly higher price on a flight than my friend's mobile device --- I did an experiment!) 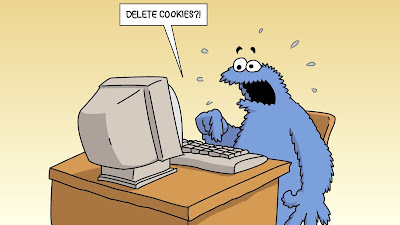 and so I have often made it a habit to delete cookies (or go on incognito mode! )and delete history on my phone and laptop! There are several airlines that offer free stopovers - so that instead of waiting for a connecting flight, you are able to explore that city for a few days at no extra charge! For instance, if you booked a flight to go to London via Icelandair or Wow, they will always have a layover in Reykjavik. Since you're already there - they will give you the option to "stopover" to explore Iceland for a few days, free of charge! And you can just hop on the flight over to London a few days later. Icelandair, Wow, Etihad, Hawaiian Air, Thai Air, Copa, Turkish Air, KLM, Air Canada, TAP Portugal and Finnair. This is the option that raises a LOT of eyebrows, but I have had some amazing experiences (and one bad one) and met SO many interesting people through this website. 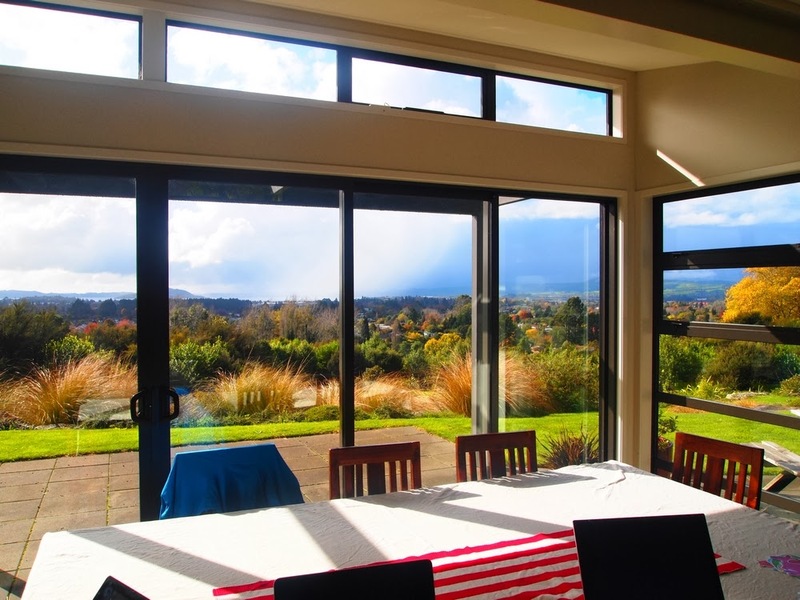 The house or couch that you'll be staying in may be a hit or miss - so you'll have to be prepared for this, but the experience itself (because of the people you meet) is rewarding. Plus - it's absolutely free! 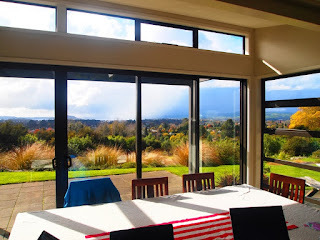 This is the home of one of my Couchsurfing hosts in New Zealand! 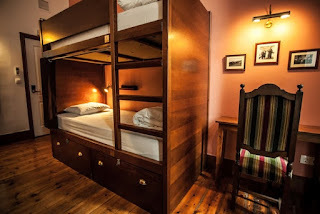 When I was traveling by myself - I LOVED staying at Hostels. It's a great way to meet people, it's cheap, and it's always so much fun. I always made friends, staying at hostels... and some of my most exciting adventures while traveling happened with people that I've met at a hostel! Could be a roommate, or the staff, or just random people that I've met at the common area! There's a common misconception about hostels being really nasty --- but that's where your researching efforts come in! I myself only book hostels with raving reviews on Tripadvisor or Hostelworld... All you need to do is make a little effort. 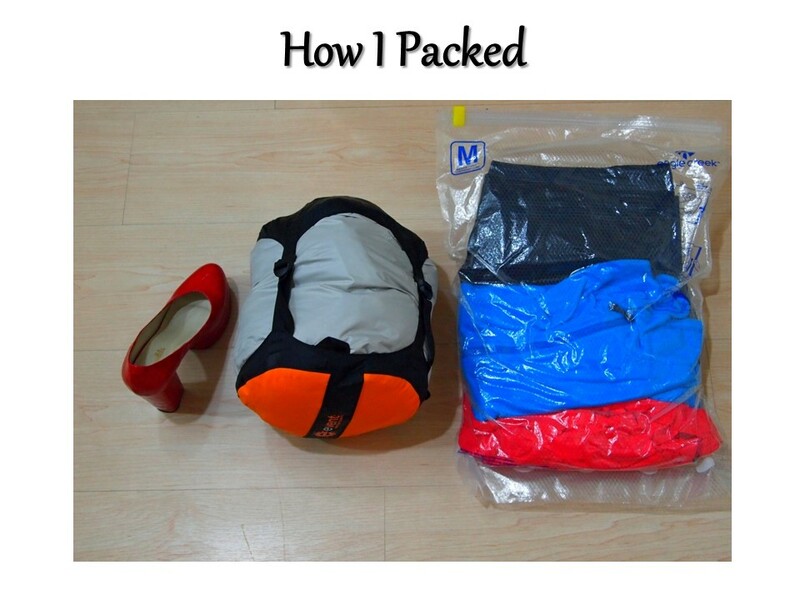 First of all - do not over pack. Whatever you think you'll need, you'll most likely only use half of those... What I do is I lay out all the clothes and things I want to bring, and then once I think I have everything, I toss half of them back into my closet and stick to whatever I have. I've gotten so good at being an "underpacker", but even then, there are a few articles of clothing that I think I could have done without on previous trips! It's easier than lugging a wheeled luggage around - especially in Europe. They really REALLY give you a lot more space. And if you don't have a vacuum cleaner, it's okay... you can roll the air out of it manually! Similar to a vacuum pack, only round, and squishes everything into a small ball. I leave a few sheets in my backpack to keep things laundry fresh! I call this my secret weapon. If you have at least a few weeks of vacation time and want to experience an alternative way of traveling, consider Volunteering via websites like WorkAway, HelpExchange, or WWOOFING. You can work for a few hours a day in the location of your choosing, in exchange for board & lodging and food. I've written about my experiences on several of my blog posts. You can check them out here. You don't get paid - but you're not shelling out any cash either. What you get in return is a wealth of experience and a big wad of fun! 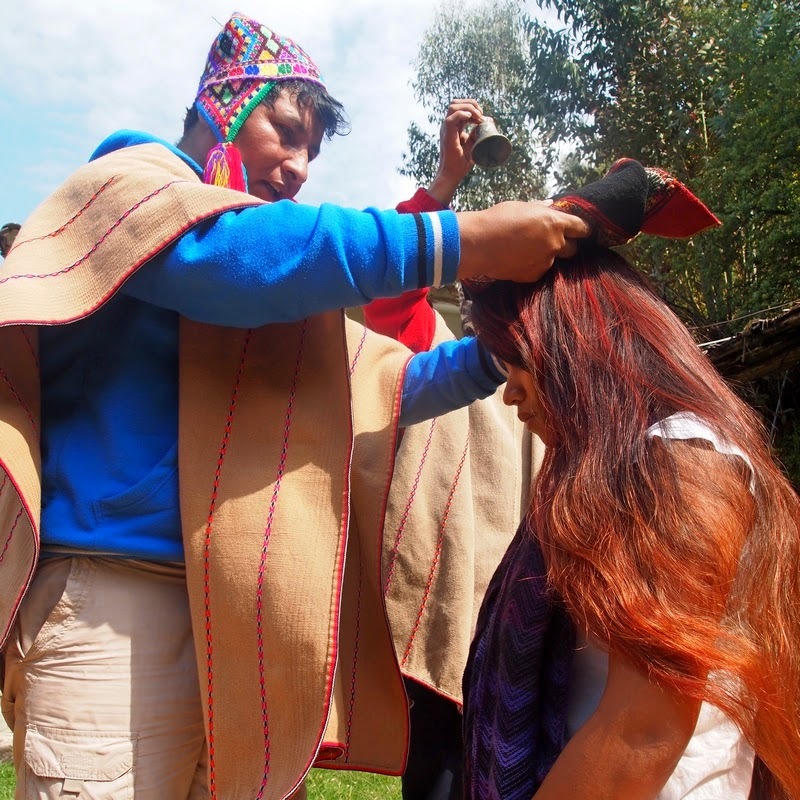 You get immersed in the culture, you learn first hand about their language, their food (my favorite bit!) 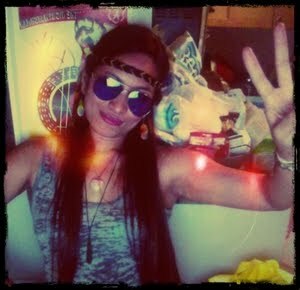 and the way they live. Way more than what you would get from a random excursion, or from a guide book. My experiences voluntouring are some of the most memorable and unforgettable I have ever had. Are you a musician? Do you know how to play an instrument? Do you have rhythm? Use it! Throw down a hat and play for some cash on the streets. I have done this once myself, and in a country where no one knows who you are - It's a lot of fun! I've encountered a lot of people on the road who sell handmade jewelry, hair ornaments, etc! I have recently taken up knitting, and I fully intend to use my new found skills to use one day! You'd be surprised, but a lot of hostels, and bars/restaurants hire skilled bartenders and pay them under the table. I have taught English (without a TOEFL certification) in Brazil, was paid cash, and was able to make a living and survive! I have a training background that helped me out - but honestly, what really got me hired was my American Accent. Brazil is not the only country that hires foreigners to teach English, either! And if you want to do it the legal way, well - I hear China, Japan, Korea and Prague are in need of English Teachers right now. It's a pretty good gig! Ok - I know I just quit this job. But even if it's not for me anymore, doesn't mean it can't work out for you! Everything is paid for while you're working at the ship. 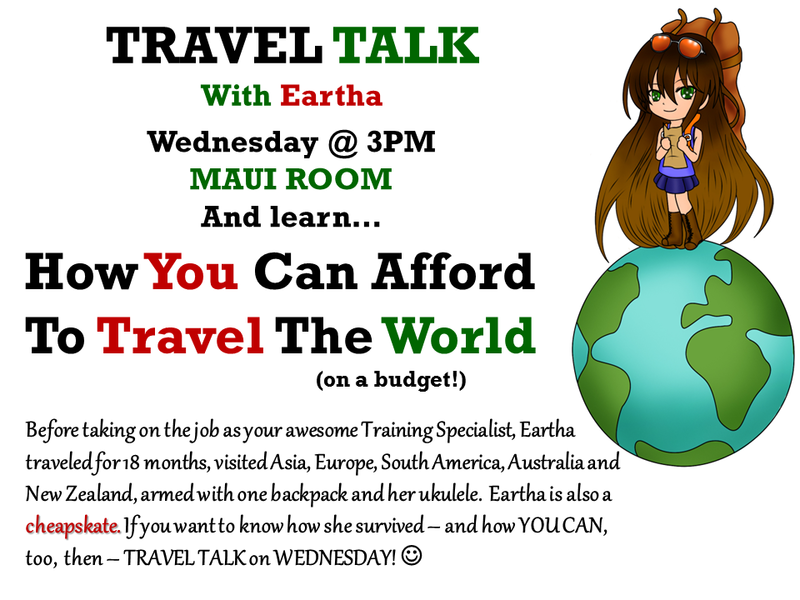 You get to save all the money that you earn... And if you're lucky, you get assigned to a ship that goes to your dream destination, like Australia or The Baltics, or Western Europe! Then you go on vacation for months at a time --- and if you want to keep traveling, you can! Everyone is a digital nomad nowadays! Try to check out websites like Upwork or FlexJobs for online work! You can get a part time or full time gig, depending on the hours that you can give. There are also a lot of online English Classes that you can do (VIP Kid or 51Talk are a couple examples), and the hours are very flexible! The sky is the limit! And there you have it! 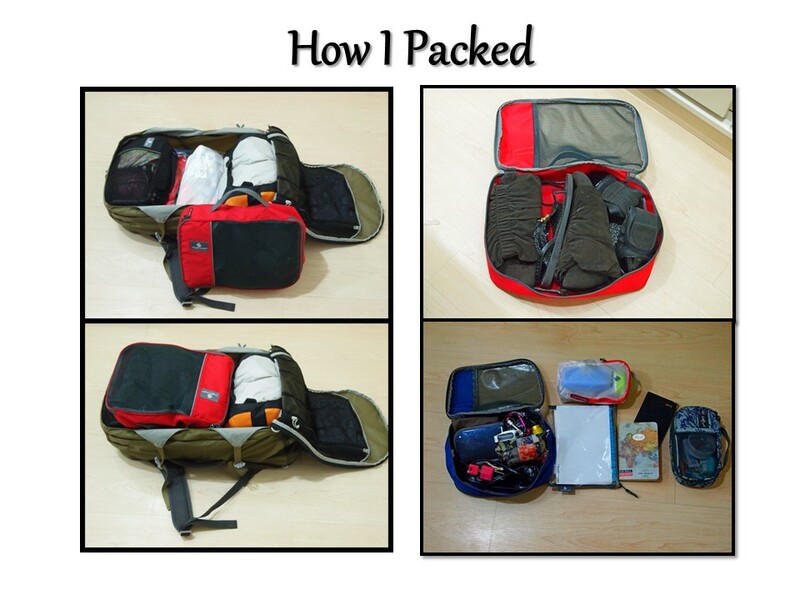 These are some of the things I've learned along the way that I thought maybe could help anyone who's interested in practical travel! I hope this helps get your foot out the door!